Pixar brought its “A” game to D23 this year, showcasing Brave and Monsters University, while also announcing two brand new films. While we do not know much about Pete Docter’s 2014 film that has to do with how the mind works, we did see and hear some minor tidbits about the studio’s 2013 dinosaur film. As it is early in development, the film remains untitled as well. Director Bob Peterson, who is making his leap into solo directing for the first time, talked briefly about his inspiration for the film’s concept. Read on for more on this mysterious dinosaur film! This film has been rumored for a while now, as a piece of concept art featuring a dinosaur made it into the background of one of the videos released by the studio a while back. However, there was not so much as a peep about dinosaurs and Pixar – until now. Bob Peterson (co-director of Up) is the latest Pixar employee to step up into a solo directing role (Dan Scanlon, who is directing Monsters University, was the most recent one). Interestingly, both Monsters University and the dinosaur movie are due out in 2013, so it will be exciting to see some new blood at the head of these films in two years. 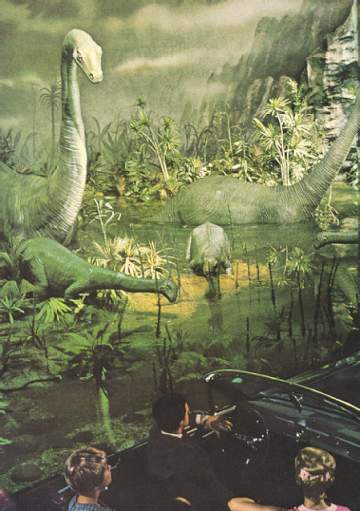 Peterson spoke about how he went to the 1964 World’s Fair with his mother when he was younger and he saw the dinosaur animatronics at the Disney-designed Ford Magic Skyway attraction, which served as an inspiration for the development of this upcoming film. He said it will “not be “like any dinosaur movie we’ve ever seen!”. Additionally, the first piece of concept art was also shown, and as per usual, it was an amazing visual from the Emeryville studio. The artwork featured a large dinosaur and a silhouette of a small figure (likely a child) on top of it. With the film’s release over two years away, we likely will not see anymore artwork or plot points for a good long while. 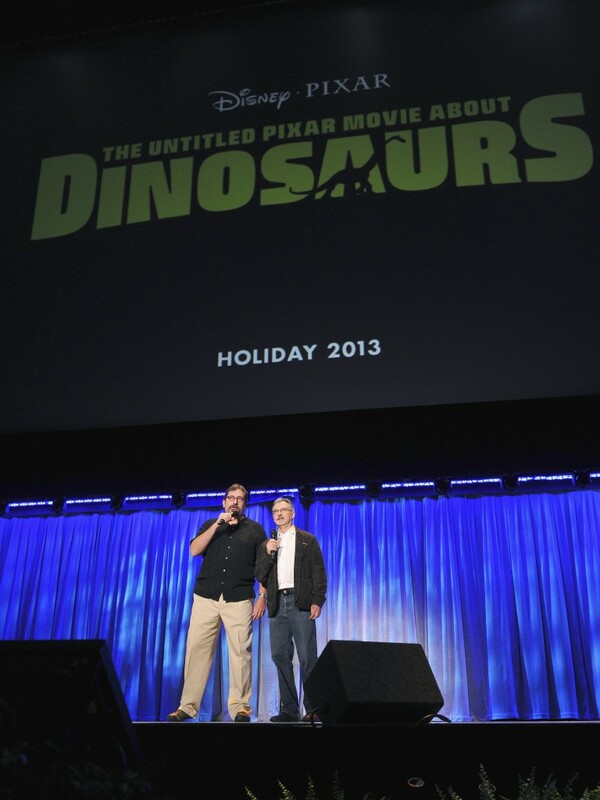 The Untitled Pixar Movie About Dinosaurs (EDIT: The film is now titled The Good Dinosaur), as Peterson and producer John Walker humorously titled it, is scheduled for release during the holiday season in 2013 (EDIT: The film is now scheduled for release in May 2014).